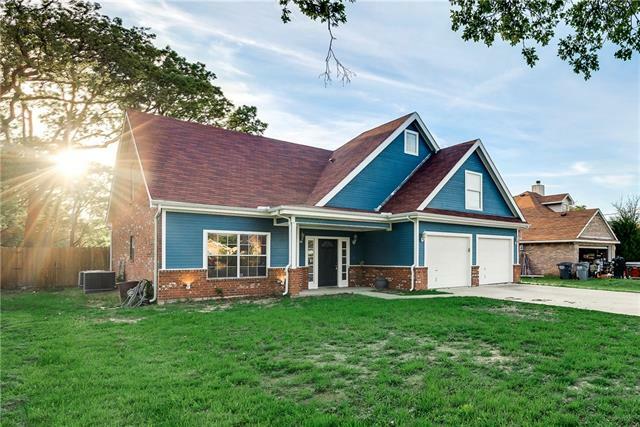 All Balch Springs homes currently listed for sale in Balch Springs as of 04/24/2019 are shown below. You can change the search criteria at any time by pressing the 'Change Search' button below. 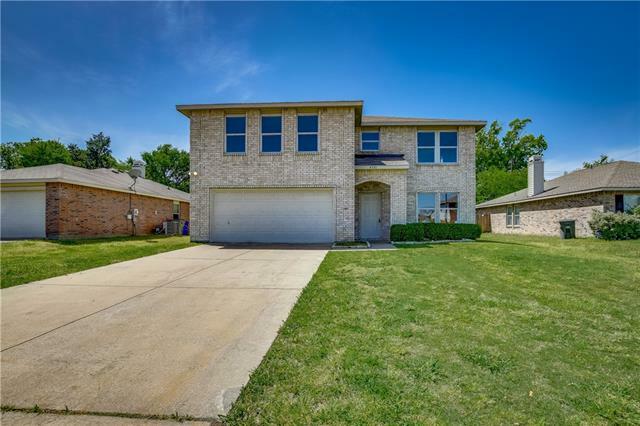 If you have any questions or you would like more information about any Balch Springs homes for sale or other Balch Springs real estate, please contact us and one of our knowledgeable Balch Springs REALTORS® would be pleased to assist you. "Opportunity!! Heres your opportunity to own this beautiful family home in the sought after Spring Ridge sub-division. This home is like brand new and offers a wonderful open floor plan with warm colors throughout. This home has 3 very large bedrooms with 2 large full bathrooms. It has a beautiful kitchen with lots of cabinets looking out into the living room. 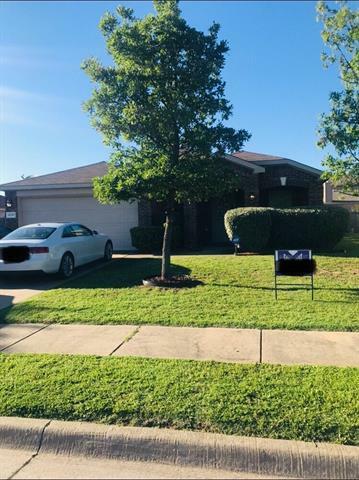 It has lots of parking and a large private fenced back yard perfect for entertaining friends and family with plenty of room for the kids t"
"This Balch Springs two-story offers a fireplace, a den, and a two-car garage. Upgraded features include fresh interior paint, and new carpet and vinyl flooring in select rooms. Home comes with a 30-day buyback guarantee. Terms and conditions apply." "New Year, NEW HOME! Affordable New Construction with Builder Warranties with ALL NEW APPLIANCES including WASHER and DRYER. Beautiful Open Floor Plan with four bedrooms, walk-in closets, two full baths and a large COVERED PORCH off kitchen perfect for entertaining. Master Bedroom with on-suite bath includes dual vanities and large walk-in shower. Kitchen includes stainless steel appliances, built-in microwave, large pantry, and granite counter-tops. Home includes Security System, Sprinkler Syste"
"Beautifully updated 4 bed 2.5 bath home in a family friendly neighborhood on a corner lot. Great floor plan for entertaining! 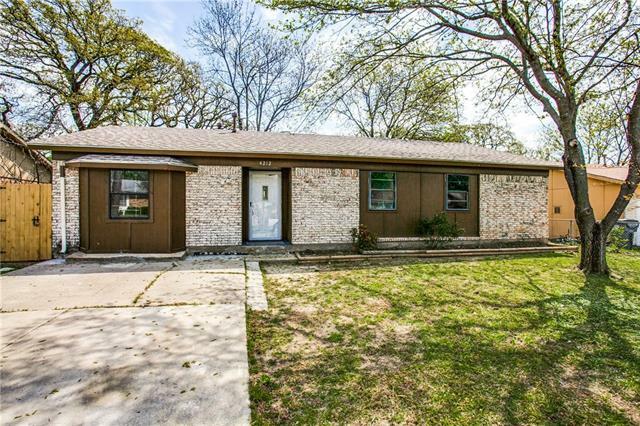 Well-maintained home with many upgrades completed in the past five years including carpet, paint and wood flooring. Buyer must purchase survey. Seller is licensed to practice Real Estate in Texas." 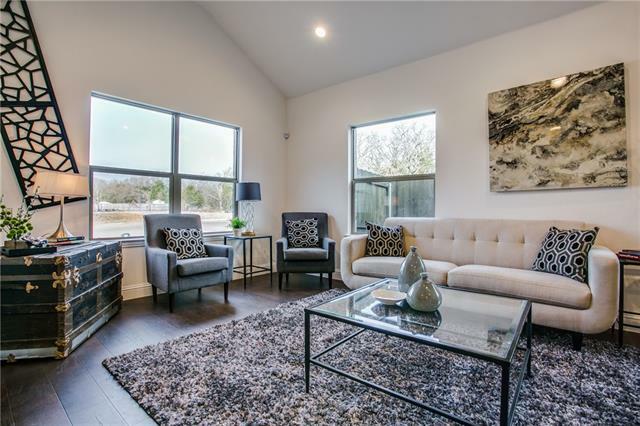 "Affordable NEW CONSTRUCTION with ALL APPLIANCES including Washer and Dryer minutes from Downtown Dallas! Four bedrooms with walk-in closets and features two full baths. Master Bedroom with on-suite bathroom features dual-vanities and large walk-in shower. Large covered porch off kitchen. Sprinkler system and Home Security Alarm included." "Beautiful well designed home in Pleasant Forest Addition! Great view on a large lot located conveniently at the end of the dead end of the street for privacy. 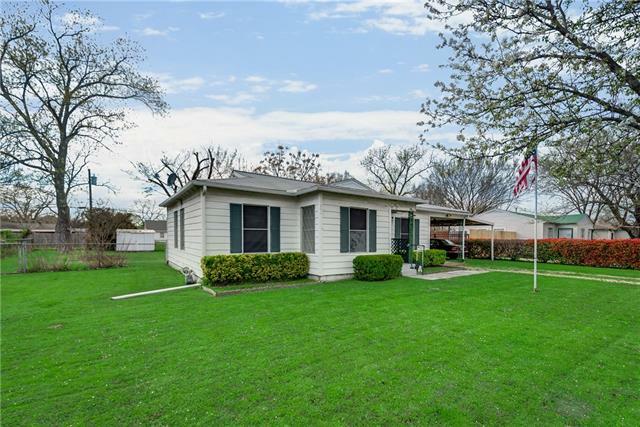 The covered front porch and covered back patio provide great areas to enjoy this wonderful lot and location. The large living room on the first level includes a half bath and leads to a massive master suite featuring a garden tub, separated sinks, and plenty of closet space. The coveted separated floorplan provides two bedrooms upstairs wi"
"Nice 4 bedroom 2 bath and a half bath down , 2 living areas , game room and a office. Kitchen overlook the family room ,great for entertaining.Home needs little TLC ,great neighborhood. You will like all the space this home has to offer inside and out. This home is waiting for its new family!!" "Welcome home to your new 4 bedroom, 2 bath, 2 car garage beauty! This home boasts a gorgeous kitchen, wood floors, decorative lighting, warm, comfy colors throughout, open feel, and so much more. New construction to be completed by end of April. Seller will install carpet, AC unit, refrigerator, stove, dishwasher, will finish fence, landscaping and other minor details. All information deemed reliable but not guaranteed. Buyer and buyer's agent to verify all info contained herein. **MULTIPLE OFFE"
"Come WOW your clients with this Move in Ready Beauty!! 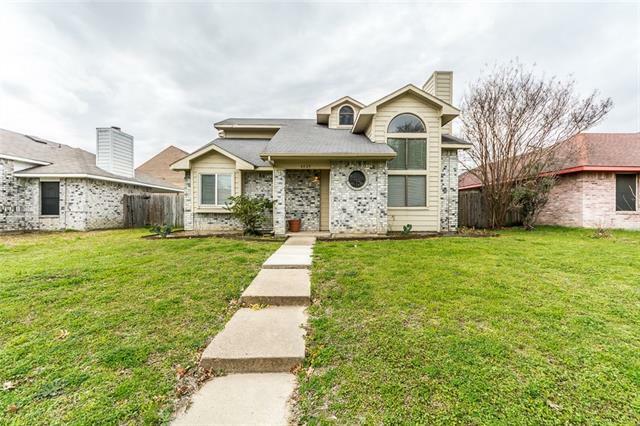 As you walk into this well maintained, 1 owner 3-2-2 home you ll love the Large Open floorplan which incl laminate flooring recently installed in 2018, new back door, blinds & more. The Spacious kitchen features lots of cabinets & counter top space, island, breakfast bar and eat in kitchen. The oversized master bdrm & bath wont disappoint. Offering dual sinks, separate shower & garden tub. 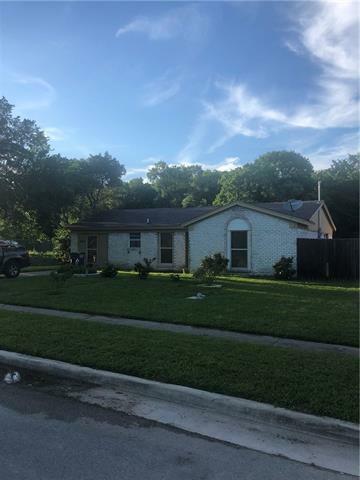 This home offers plenty of storage place, walk-in"
"Completely renovated 4 bedroom 2 full bath home with new quartz counter tops in kitchen and baths, updated lighting and plumbing fixtures, all new paint, new carpet and flooring throughout. Home has a large covered patio and large back yard for pets and entertaining. Don't miss this great home for a family to enjoy." 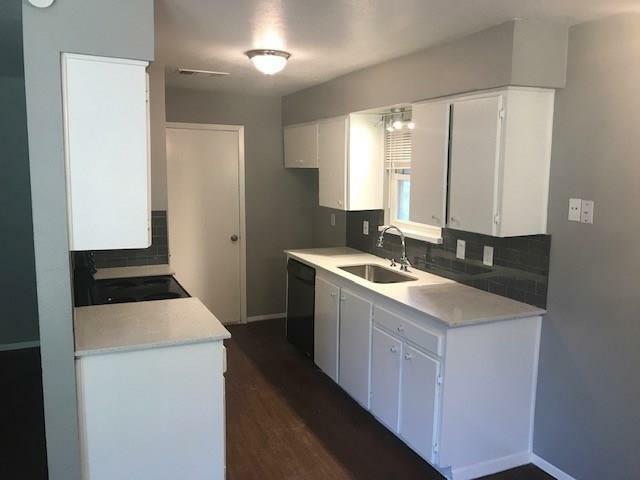 "ALL UPDATED AND MOVE-IN READY! SHOWS GREAT! New carpet and fresh paint 2019. Spacious living room. New low-E windows 2019 + New AC 2019 = Low bills for you! Kitchen is updated with refinished counters and LED lighting. New roof 2019. Two car carport + garage. Out back enjoy the fenced backyard, screened porch and extra storage. MULTIPLE OFFERS RECEIVED. PLEASE SEND YOUR HIGHEST AND BEST OFFER BY MONDAY 8PM, APRIL 22." 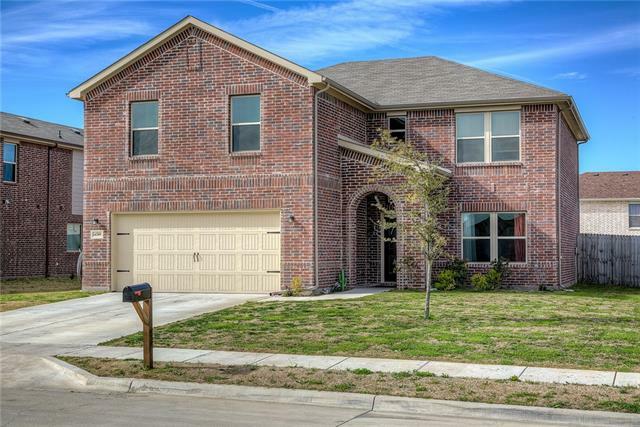 "Excellent 2-story, 3 bedroom, 2 bathroom home in Balch Springs zoned to Mesquite ISD! Soaring ceilings welcome guests into your home! Open concept layout offers uninterrupted views of the living room, kitchen, and breakfast area. Quaint kitchen features modern backsplash, ample cabinetry, and breakfast room. Hardwood floors throughout! 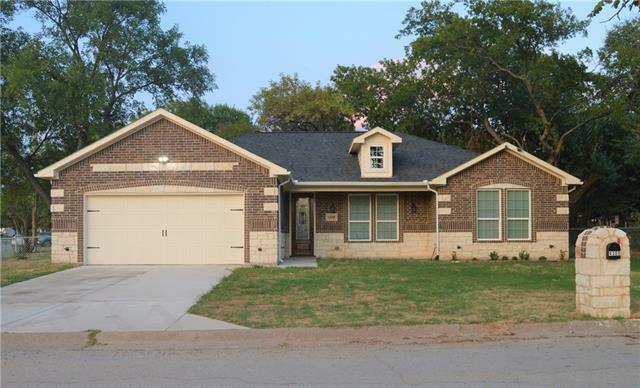 Well-sized bedrooms offer enough space for a growing family, Recent upgrades include: New Paint, New laminate flooring, AC system, toilets, and vanity in the mas"
"Beautifully UPDATED 3-bed 2-bath home from top to bottom home has tons updates, home has added room. 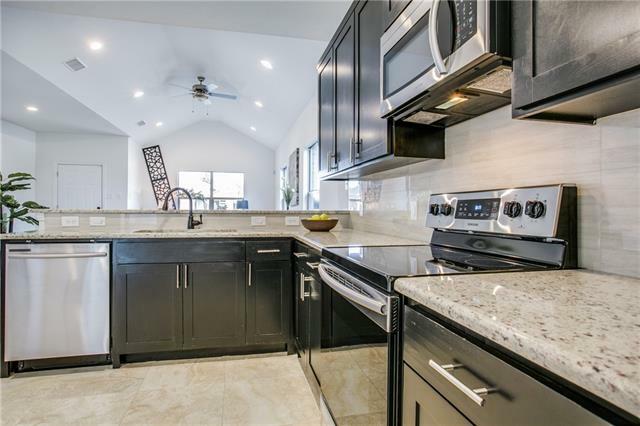 Stainless steel appliances, granite countertops, light fixtures, plumbing fixtures, engineered hardwood floors, tile, carpet, paint, roof and much more. Schedule your appointment to see it today." "You won't believe this 3 bedroom, 1.5 bathroom beauty is selling for this price once you check out the inside. This place is incredibly well kept and has great space for the entire family. Spacious kitchen and living area with a very nice dining room. Come and see it soon!" "Contingency expired-Large family or Investor Special! 2 properties. First home has 2 bedrooms and bathroom, living, kitchen. Second dwelling- converted garage. 2 story, upstairs apartment includes living room, kitchen, full bath and bedroom. Downstairs is not completed but there is a laundry room, full bathroom and two bedrooms. Second dwelling is plumbed for gas, electricity and central ac and heat. NO REPAIRS WILL BE MADE. AS IS. Buyer or buyer agent to verify all info. 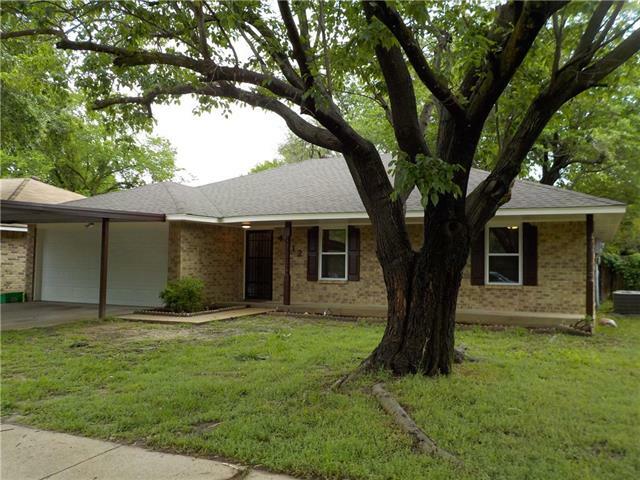 Sq footage is combined "
"Meticulously maintained 3 bedroom 1 bath home in quite neighborhood. This home features open kitchen and dinning room just off the large family room. Large beautifully landscaped yard, room for tons of family activities. Zoned for MISD!" "Tidy home with new paint inside and out. New vinyl plank and carpeted floors. NEW ROOF. EZ access to I20, 635 and 175. Home ready for immediate move-in! Payment actually lower than FHA! Will consider convetional and even owner f inancing. See media section for terms of proposed seller f inancing."